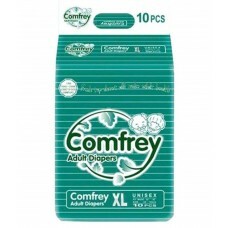 Comfrey Adult Diapers created by Nasibdar International, are disposable diapers that are contour shaped for a better fit. The special feature of this diaper is that it is non woven with soft and fine ventilative properties which enables fluid to pass through quickly and not flow back for a dry feeling. 2. High-Speed Channels - With the special designed linking channels, running liquid spreads fast all over the pad and is absorbed quickly to make surface dry. 3. Refastenable Tapes - The comfrey diapers have two pairs of refastenable tapes good for multiple times of tape application and good fit. Also, it has a frontal sheet with landing guide for repeated adjustments. 5. 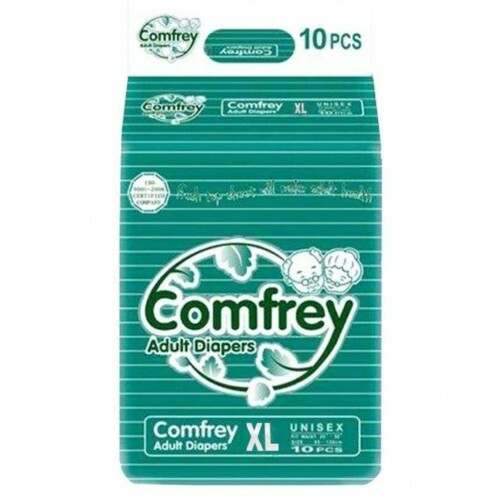 Light in weight, no odors, no leaks, no soar - The comfrey adult diapers are light in weight and minimised perfumed to avoid odors. The standing inner leak guards ensure that there is no leakage thus eliminating the chance of Bed Soares and rashes. Q Are these re usable by changing inner pads ? Q Is it pant type ? Q Can this useful after delivery for new mom ?